2xCD Edsel Records - EDSD 2019 (2008, ) Bundled together with "Vanilla Fudge"
Third on the list , this is actually their second one and from far their worst. This is a wild experience gone terribly wrong and 35 years later still does not sound good. Avoid this unless you are a die-hard fan . Still quite an audacious bet though. 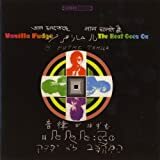 VANILLA FUDGE's "The Beat Goes On" would have to rank as perhaps the most psychedelic albums in my collection. IMHO this album has been blacklisted for far too long... I think the world has really missed this one... Without a question this album contains some of the wildest combinations of classical, pop, rock and psychedelic you will ever hear. Mark Stein's organ work is killer on this album with some real tasty runs. The foundation of the album is based on 4 distinct phases with Phase 1 paying tribute to the BEATLES, phase 2 touching Beethoven's classic moonlight Sonata, Phase 3 a collage of historical speeches and Phase 4 a collection of shorter whimsical numbers with sitar, tabla and other worldly instruments. Although this is not an album I would listen to every day, it is a very aggressive album full of highly imaginative song writing and clever instrumentation. Thanks to the Fudge, one can combine the Fab Four, Ludwig van B. and several from the most important political giants from the twentieth century. But it is not really for the best. There will be some classical influences with the opening number, some good instrumental parts for "The Beat Goes On" (from Sony) and lots of useless (partial) songs. The band released a good debut cover album but they completely messed up their second one. There are lots of very short, dull and poorly chosen tracks. The track "Variations On A Theme By Mozart" is absolutely disgusting during its seven minutes. It is really incredible that this album charted in the US (it peaked at the seventeenth spot). Some might say it is heresy, but my preferred number on this album is by far "Für Elise" from van B. Again, Fudge are proposing a great psyche intro, very heavy keys just before the sweetest piano break of "Elise". I have always loved this melody and it is so pleasant to hear a decent song in here. These partial speeches that can be heard during "Voices In Time" are great historical moments. Chamberlain, Churchill, Roosevelt etc. are just placed one after the other with some background "music". Over eight minutes. I appreciated very much the mix of one of the best known Churchill speeches during the intro for "Fool's Overture" from Supertramp, but to listen to this one is not an experience you would like to face every week (nor every month, nor every year). It is boring to death. This album holds some of the craziest psychedelia, at times avant-garde. "Merchant" has funny dialogues about "trips", "the interest of "The Beatles" for Indian meditation etc. But frankly, what is the need of all of this ? Getting poor ideas with some average (at best ) musical moments ? My advise would be just to stay from this work. One painful star. I still hear Mario tune in Variations On A Theme By Mozart, I can't resist that, even good old chap Mario still had years to be conceived and published. However, mastermind Mozart was already dead many years, but his legacy remained untouched, waiting to be turned into Prog songs. Wait what ? Not at all, this is collection of Beatles covers, little Psychedelic touch and the rest is take on Classical music. Very surprised to hear this combination, but Beatles parts are big letdown. They doesn't offer anything new, so the only thing that is left are classical pieces, this time with feeling of 60s. But these are too short (these guys are doing some parts of these covers in "original" sound, as beginning of "Fur Elise", so again - nothing new). 1(+), but as collection of nice combination (I like both Classical music and The Beatles), it's quite good. Still offering enough so it's not complete disappointment. Even it's not so good anyway. However, there is too much of empty, void places of just radio transmission, public statements, things like this. I suppose that back then, it seemed like a very good idea, but it's actually boring. 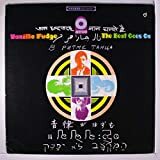 Vanilla Fudge's debut may not have moved me a whole lot as a listener, but I certainly understand the album's place as a seminal album in the development of psychedelic and heavy rock music. The success of that album only increases the confusion generated by The Beat Goes On, the American outfit's controversial sophomore observation - this experimental album is a 'head scratcher' for sure, and though some have hailed it as a misunderstood masterpiece, I will join the choir of folks that just don't get it. The Beat Goes On has a few interesting things going on, but the band's total disregard for musical structure and composition makes for a tough pill to swallow, even when looked at from a historical perspective. 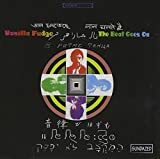 Although the music on 1967's Vanilla Fudge was primarily straightforward organ-led psychedelic rock, the same can not be said for The Beat Goes On. There are flirtations with conventional music, like the piano intro "Sketch" and a few Beatles covers in rapid succession, but a majority of the music seems to have very little direction at all - a good portion of side two can hardly be called music, if truth be told. As cool as a sound collage of twentieth century political figures can be if done right, it seems out of place and overly long when it takes up eight minutes on a rock album. 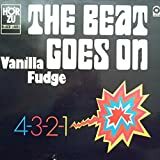 The Beat Goes On does have some cool musical ideas from time to time, but they rarely expand beyond interesting fragments; although Vanilla Fudge sticks to cover tracks once again, they never actually recreate any of the tracks they pay homage to. Instead, they briefly touch on numerous compositions, and the result is an incoherent mess. It's actually a shame that the band never decided to flesh out any of the tunes here, as I think a heavy psychedelic version of "Fur Elise" or "Hound Dog" could have made for an entertaining listen. The Beat Goes On aims to transport the listener through history, musical and otherwise, and although this is a great concept, the execution is baffling. A directionless and confusing album, The Beat Goes On is a failed experiment in my book, and a disappointing followup to Vanilla Fudge's 1967 debut. This is only recommended to the most die-hard of psychedelic collectors - all others should proceed with extreme caution. 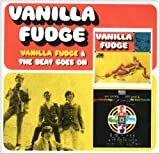 This should have been a career suicide for Vanilla Fudge, their much maligned sophomore effort, coming on the heels of their critically acclaimed and commercially successful debut. Yet the label let them continue on. 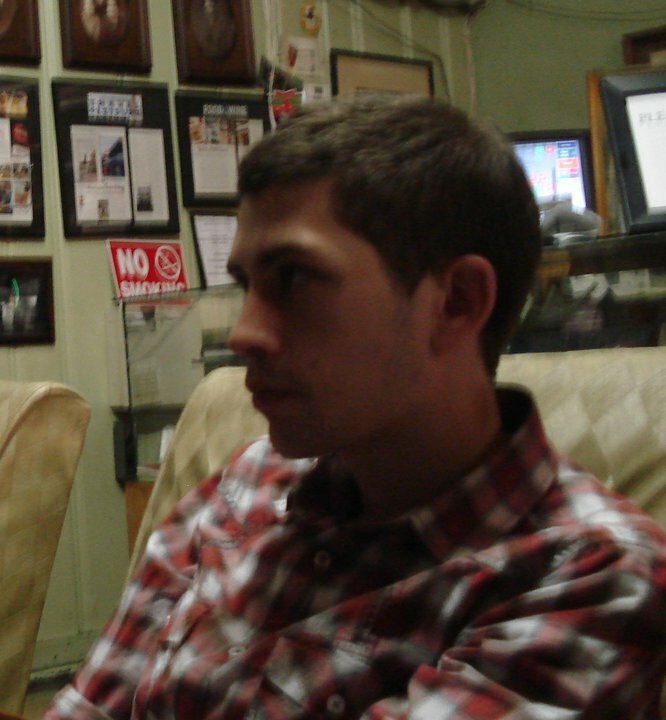 If an album like The Beat Goes On was done any other time, they'd likely get the boot. This is the most ridiculous, over-the-top, pretentious album I own, and that coming from someone who has tons of prog in his collection. But this album really deserves it, moreso than Tales From Topographic Ocean. What on Earth were Mark Stein, Tim Bogert, Carmine Appice, and Vince Martel thinking? OK, so you can easily blame drugs. They must have taken so much drugs to even think of an album this ridiculous. But the real blame was on Shadow Morton, apparently. They take on the Sonny & Cher song by the same name, really, just mainly doing the theme of it done in bewildering different styles (from dirge to acoustic guitar, to even an actual Vanilla Fudge rendition of the song in question). 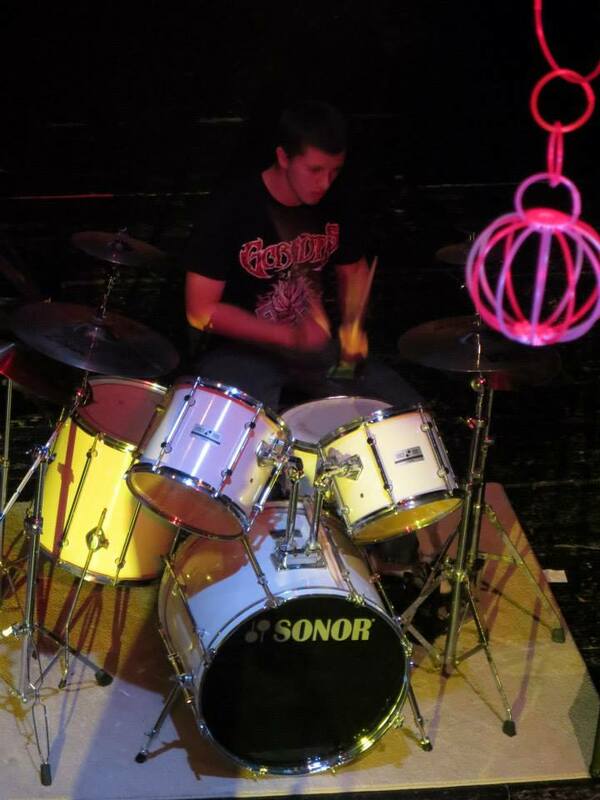 In between all that you get treated with ragtime, swing, political speeches from various political figures, Beatles, Elvis, and references to the band itself. There are actually flashes of brilliance, I won't deny it, I do enjoy their take on Beethoven, but for the most part it sounded like they were simply messing about trying to bring that BIG MESSAGE. That message showing how music and mankind changes as "The Beat Goes On", obviously nothing that you'd hear from the Sonny & Cher original. Strangely I don't hate the album. I am one of the rare ones to have listened to it more than once and not be totally disgusted at it. In fact, in my perverted ways I sorta enjoy the album. But of course, they really rebounded BIG TIME (a vast understatement) with the wonderful Renaissance in just a few months. I own the original LP, but I didn't spend much. Three stars for me, but I don't blame you if you feel it deserves less than one star. 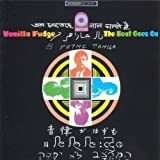 Post a review of VANILLA FUDGE "The Beat Goes On"